You can take the bus from Bangkok to Laos with ease, and directly too. The service runs from Bangkok to Vientiane, and is operated by Transport Co Intl, based at Mochit Bus Terminal. The bus departs daily at 8pm, and reaches Talat Sao bus station in Vientiane by 7am the next morning. If you are planning on going to the Thai consulate in Vientiane to apply for a visa, this bus is a good way to get to the consulate in time to complete your application process in a day. Personally, I'd stay over for a night as this is a delightful little town. Check out this hotel after you are done sorting your tickets. How Much Does the Bus From Bangkok to Laos Cost? Tickets cost THB1,000. Consider that this is around 1/3 more than the non-direct route, which is to Nong Khai and then by bus to Vientiane from the Nong Khai bus terminal. That said, the advantage is a direct route without the hassle of having to wait at Nong Khai for another bus. What Type of Bus Will I Travel On? The bus is a standard VIP bus with four seats per row. I have to say, some of the buses look a bit old, so don't expect first class. That said, most of these buses look the same on all routes. It's not the prettiest of transport, but it's a cost effective way to get to Laos. Will I Get Food & Drink On the Bus? The bus stops several times at large gas stations. These have food courts and 7-Elevens to make sure you are watered and fed. Snacks and water are served on board too; you even get a dinner of curry and rice. My tip is to always take your own snacks and water. Take nuts and fruit to munch on. Below is a table of times available to book now. As you can see, departures are in the evening, which is good in a way as you can sleep and won't waste the daytime traveling. Clicking on the image will take you to more information. I recommend paying the extra for the direct route, but if you are looking to save a few hundred Baht you can take this one. As mentioned previously, you can take the bus from Bangkok to Nong Khai and then from there to Vientiane. Buses for Nong Khai depart regularly from the northern bus terminal at Morchit. The average journey is 9-10 hours, and the cost is 500-600 Baht. The downside is that when you get to Nong Khai you will need to get off and take the international bus to Vientiane. The price is 60 Baht. You buy your ticket there and then at the station. To get to the border you will need to take a tuk-tuk to the border for around 60 Baht, then get the shuttle bus over the bridge to the other side of the border, which costs 50 Baht. You then need to get a Tuk Tuk or taxi into Vientiane. You can book tickets prior to your journey from 12go Thailand. It's really easy. Once you have booked, make sure you arrive 30 minutes before your departure. If you are traveling from Mochit, go to the MRT subway station Khampaeng Phet and then take a taxi which will be less than 50 Baht. Once there, find the ticket counter or ask at the info box on the ground floor. Your check-in point will be the northern bus terminal on the first floor. You can go to any counter of the 999 Transport Co. bus company. 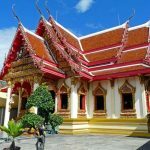 This Bangkok to Laos bus route is great for travelers and expats alike, providing a cheap visa run option for long stayers and a great way to get between the two countries for backpackers. Although the journey is pretty long, if you plan your trip right you can sleep through the night. If you want to fly instead, you might like to check out this page. Hi how much is the total roundtrip cost of the bus from Bangkok to Laos and back to Bangkok, as well as the visa fees? No. Get one on entry. You can get a visa on arrival. You will be given 30 days entry. You apply for the visa at the border. You can take a bus from Vientiane to Pakse. You can book here. No visa required. You will get a 30-day entry stamp. 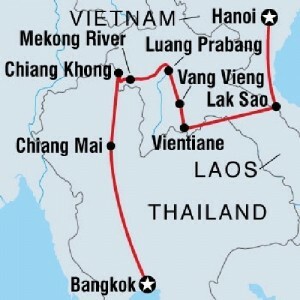 It's around 10.5 hours from Bangkok to Vientiane in Laos. It costs approximately 600 Baht on the VIP bus. 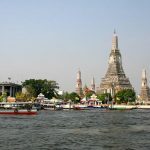 I traveled from Vientiane to Bangkok by night bus in this May. Price was 248,000 Laos money. At first a shuttle bus, a truck with passenger bench, picks up me, and took me to Vientiane bus terminal. I was forced to be on board to normal shuttle bus, because it took me to border office and Nonkai Terminal . About one hour later, a bus started to Bangkok. It was a double decker, and comfortable. The road was well paved and felt no dangerous risk. Good for nice sleep. No worries about thieves. Mochit Bangkok Terminal is distant from downtown, so taking taxi is necessary. It costs about 40 bahts to the Mochit railway station. Enjoy cheap and safety bus trip. You will get an exemption stamp in your passport at Thai immigration at the border. This will allow you 15 or 30 days in the country, depending on what nationality you are. How do you get in contact with someone from this bus company? and also how would you get to the bus from the BKK airport in Bangkok? 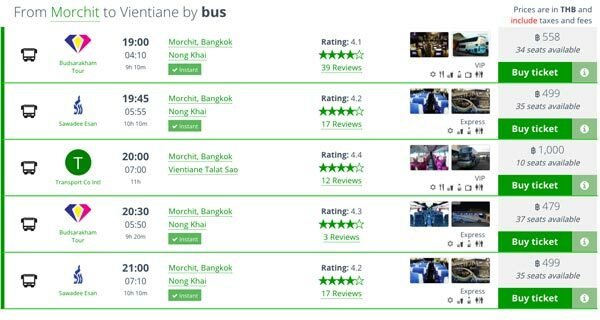 Where to take the bus from Bangkok to vietiane.Also Where to book and take the bus from vietiane to Hanoi. We like to take from bangkok to vientiane by nightbus 21.03,2016. Where can the reservation make, and the ticket to buy? Hi, just turn up at the bus station an hour earlier than departure time to get your tickets. Yes, you can get your visa on arrival. Make sure you have $35 on you. To pay in Thai Baht is more expensive. Are these full size busses or the mini busses, (vans)? Big buses, last time I checked. Hey, what bus station and what time does the bus depart from Vientiane, Laos back to Bangkok? Hi! Can you tell me whether the bus enters to Pakse in Laos through Udon Thani friendship bridge? I need to mention it in my Laos visa application in Bangkok. Hi Khan, no it arrives at the border of Chong Mek, which is about a 1 hour drive from Ubon Ratchathani. Once you cross the border, Pakse is approximately another 1 hour drive. Hi, you can travel from Bangkok to Pakse by taking a direct bus from Mo Chit station. It used to cost around 900 Baht, takes 13 hours and used to depart at 9pm from the Northern bus terminal. You can't book online.